Finally home lighting system and music system have been out together. 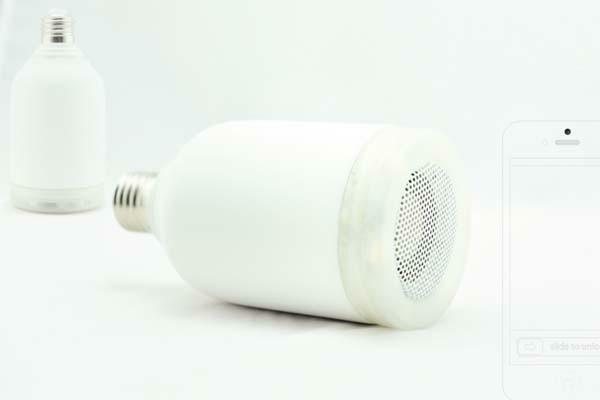 If you’re curious, let’s go on checking the following AirBulb, the app controlled LED bulb with Bluetooth speaker. 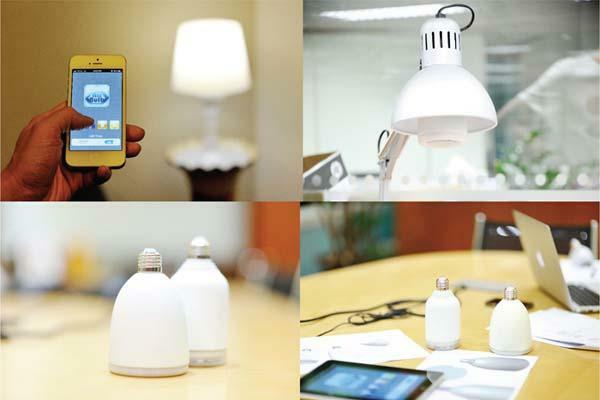 The AirBulb is an innovative and multi functional app powered LED bulb. As we can see from the images, the smart bulb features a sleek and compact design, and comes with a built-in Bluetooth speaker with 3W Class D AMP output power, using Bluetooth technology the wireless speaker is able to pair with your smartphone or tablet, and streaming high-quality audio from the mobile device, and you can also connect two AirBulb to build a real stereo speaker system. The AirBulb also comes with 6 high power LED lights, and using custom application that works with Android and iOS devices you can also conveniently turn on/off the smart bulb or change different color temperature based on your mood. Moreover, the LED bulb can also notify you of incoming calls and notifications via flashing light and sound, you ever can use it as an alarm clock. Apart from that, the LED bulb is no mercury or halogens for environmental conservation. After the break, check out the following demo video. The AirBulb is earning influence and raising fund via Kickstarter. Pledging $59 will let you own the smart bulb with Bluetooth speaker. If you’re interested, jump to Kickstarter official site for more details.